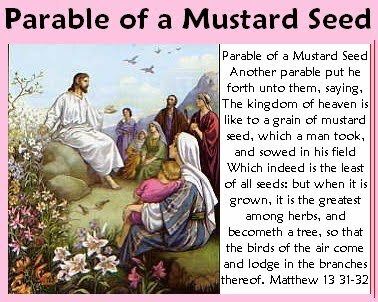 Sowing Mustard Seeds: Baby Bear turned one!!! 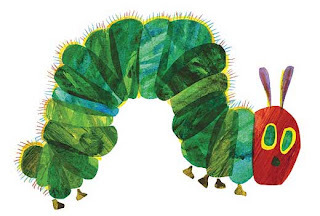 The Very Hungry Caterpillar happens to be Baby Bear's favorite story at the moment. Princess and Big Boy enjoy reading the story to her over and over again. 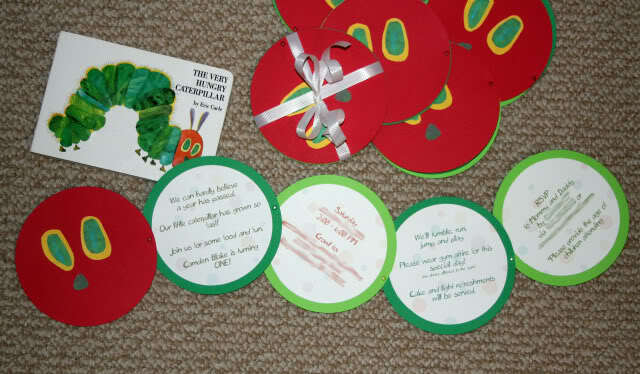 Princess thought it would be a good idea to have a Very Hungry Caterpillar themed party for Baby Bear. And thus the plans for this party began. There's quite a bit of ideas out there on the wide world web. Here's a few ideas princess liked and helped with...I think she may have a future as a party planner! LOL!!! We can hardly believe a year has flown by. Our caterpillar has turned into a beautiful butterfly. Baby bear is turning one! The food--how I wish I had pictures--was easy to come up with. We served most of the food the hungry caterpillar ate through in the book. Which minus all the sweets was fairly healthy. Decorations were all cut by Princess. She picked it out from here, printed and cut it all out on her own. What a helper! 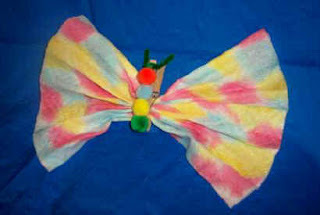 Included in the goodie bags was a box of crayons, notepad, fruit snacks, and this caterpillar to butterfly craft. The cake was so much fun to make. Princess, Big Boy, and even Baby Bear helped. Happy 1st Birthday Baby Bear!!! May God's Blessings Be Upon You!!! Happy Birthday! WHat gorgeous eyes. I don't know if you will see this but I wanted to see if it's possible for you to send me the wording from your invites, and any other info would be great. liamsmom0605@gmail.com Thanks a million!